Send digital invoices to your customers quickly and easily with Online Invoicing. Completely in your own corporate design. Enable your customers to pay directly and send a reminder when necessary. 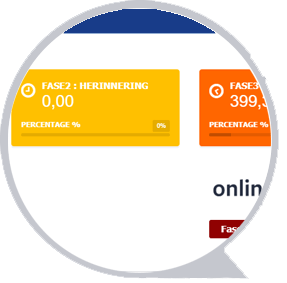 Online invoicing is safe and meets the requirements of the tax authorities! Drawing up invoices fast and easy is usual business within InformerOnline. Your invoices will meet the requirements of tax authorities and will be numbered automatically. Taxes will be directed to the tax declaration overview immediately. And by registering with the PEPPOL network, you will also meet the requirements of the government! Ease up online payments for your customers and enable them to pay in different ways. 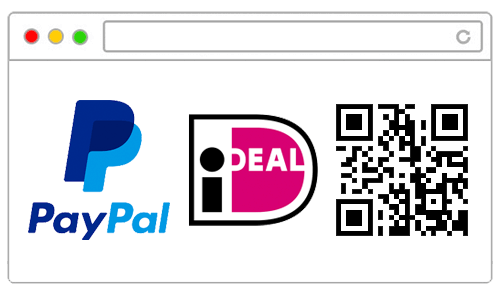 Add a QR-code to the invoice. Customers scan this with their banking app to pay. Or allow payment through PayPal or iDEAL. All of these options would not only simplify the process for your customers, but would make you receive the payment quicker as well! Sales invoices are almost like business cards. It should match your company’s identity. 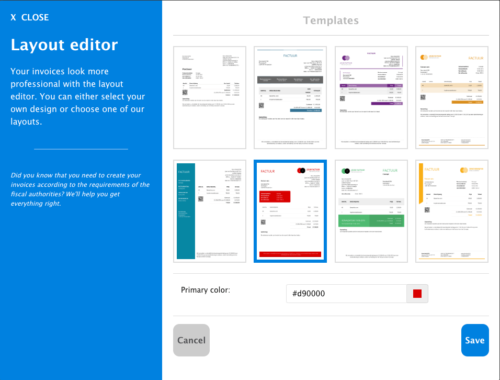 Luckily, you can send all your invoices in your own corporate design if you use InformerOnline. Upload your logo, choose a template or color or just use your own design. Blow away your customers with your professional digital invoices. 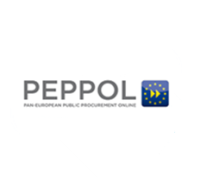 As user of InformerOnline you are able to register for the PEPPOL-network completely for free. PEPPOL allows you to send sales invoices through an extra secured network. That way, you won’t ever have to be afraid of your data being leaked! 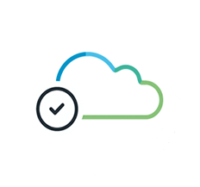 Trusted Cloud is a safety quality mark developed in cooperation with tax authorities. It shows entrepreneurs which accounting programs are safe and trustworthy. Our program is being re-checked every year to ensure the safety of our customers’ data! An online invoice will always be sent in UBL format. UBL is the digital alternative of .xml. The biggest benefit of UBL is that the recipients are able to automatically recognize the invoice in the administration. This results in an acceleration of the invoice processing process. When using InformerOnline, receiving UBL invoices is completely natural. Robots will even process them! Invoices overdue? Send your customer a reminder or summon. InformerOnline helps you managing your debtors and taking action when necessary! Send periodic invoices automatically. Whenever you want! Add an appendix to your online invoices! Send your invoices from InformerOnline to one or more recipients by email! Add all your products and services to speed up the creation of invoices! All taxes will be taken from sales- and purchase invoices and sent to your tax declaration! Use one of your own designs or one of our standard templates! Check your administration anytime and anywhere with the InformerOnline App! Create collection files for automatic collection by your bank! Create a file containing all information per relation! Online invoicing is part of all InformerOnline packages. Therefore, purchasing separate invoicing software is no longer necessary. Many entrepreneurs still use Microsoft Word or Excel to create sales invoices. Programs like these are useful. However, neither Excel nor Word offer the functions an online accounting software does. Wherefore you cannot compare the ease of sending invoices with InformerOnline to the often complex formula’s in Excel. Besides, problems with invoice numbers are history with InformerOnline! Have your customers pay you immediately with InformerOnline. Just link your PayPal account with your administration and receive the money on your account within seconds! Furthermore, there are many other apps which you could link to your Informer administration. For example with several banks. Would you like to link an application which is not automatically linked yet? Use Informer’s open API code! InformerOnline is a cloud application. This means you could login everywhere at all times. 24/7 access to your invoices makes you a lot more flexible as entrepreneur. Besides, you basically have all your quotations and sales invoices in your pocket. That way you will never lose control over your invoices! Thanks to quality safe marks and initiatives such as PEPPOL and UBL safety of sending invoices would be guaranteed. InformerOnline has been certified by quality marks ZekerOnline and Trusted Cloud. In addition, all Informer users have PEPPOL and UBL to their disposal. That way everyone can be sure about the safety and protection of their data! Are you using InformerOnline? That means your accountant or financial consultant have free access to your administration as well. Therefore, you won’t have to be uncertain about your actions anymore. Because if you’re still not sure about your sales invoices, your accountant is always able to login with his or her own username and password!